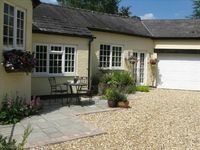 Property 3: The Hayloft a romantic country haven. Immaculate hi-spec apartment, sleeps 5. Free hi speed wifi, free parking. Property 8: Immaculate hi-spec apartment, sleeps 5. Free hi speed wifi, free parking. Property 15: Luxury 2 - Bedroom Apartment, Nantwich.